Aktif Neser | A NEW EDITION OF THE POPULAR TEMA3000 SOFTWARE SUITE HAS BEEN RELEASED! A NEW EDITION OF THE POPULAR TEMA3000 SOFTWARE SUITE HAS BEEN RELEASED! 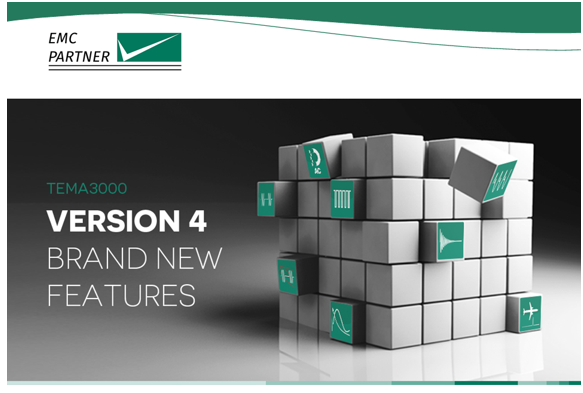 Home > Haberler > A NEW EDITION OF THE POPULAR TEMA3000 SOFTWARE SUITE HAS BEEN RELEASED! Latest generation software for use with EMC PARTNER Operating System (EPOS). Interfaces to generator through Ethernet port, reducing the need for specialist and expensive hardware interfaces. Forward looking software suite designed to run on operating systems from Windows 7 and upwards. Graphic user interface with icons to simplify operation. Parameter entry through Remote EMC PARTNER Operating System (REPOS) interface reduces learning time for users familiar with the generator hardware. TEMA3000 base version includes generator remote control interface and single test capability, save and recall of files and a comprehensive help file. Test routines can be prepared in TEMA3000 and then uploaded into the generator in the test lab. Programing with the REPOS interface is exactly the same as sitting in front of a generator. Report generation in TEMA3000 base version is through the Web Server in the generator or the generator USB port. – Explore and Download TEMA3000 now!